The solutions of the wave equation represent the motion of an idealized string where represents the deflection of a string along the axis at a time Here, such solutions are represented. 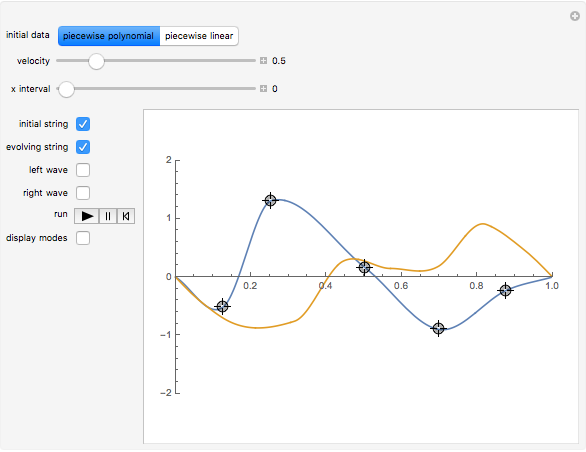 Using the locators, you can construct approximations to a polynomial of arbitrary degree or a piecewise continuous function on the interval 0 to π. 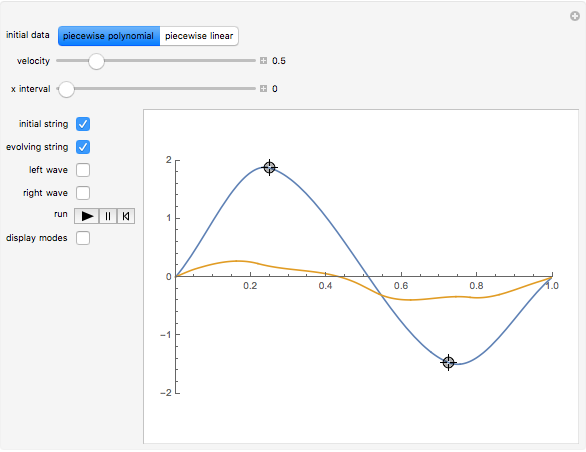 The trigger starts the solution with no initial velocity and shows the evolution of the string as a function of time. This solution is built through the so-called d'Alembert solutions, which are a superposition of left and right traveling waves. The construction of these solutions can be explicitly demonstrated by only plotting right or left traveling waves (better seen on a larger interval). The evolving string is the superposition of both waves. 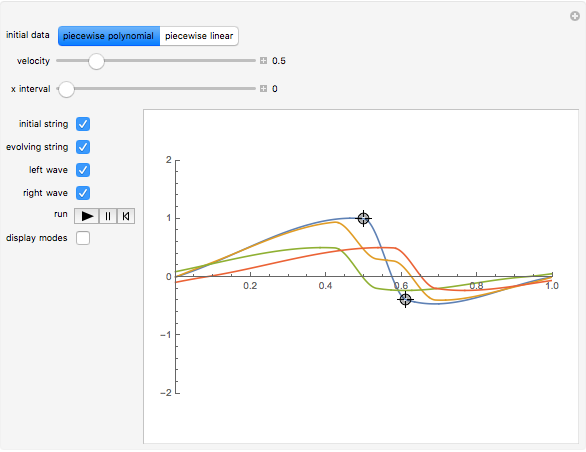 The time evolutions of the first three Fourier modes of the solutions are shown on the left of the plot. Alain Goriely and Mark Robertson-Tessi "The Vibrating String"